In addition to German, Italian and Japanese POWs, Camp Livingston held “enemy aliens” of Japanese descent living in the U.S.
USC’s Shinso Ito Center for Japanese Religions and Culture will present “Hidden in Plain Sight: Uncovering Japanese Enemy Alien Internment at Camp Livingston, Louisiana” on Thursday, Sept. 27, from 5:15 to 7:15 p.m. at the East Asian Seminar Room (110C), Doheny Memorial Library, University Park Campus. In World War II, Camp Livingston was a bustling U.S. Army base located near Alexandria, La. It is mostly remembered for its use during the Louisiana Maneuvers and housing German, Italian, and Japanese POWs. The internment of almost 1,100 men of Japanese ancestry as enemy aliens is mostly erased from the history of the Army installation, except for passing references. 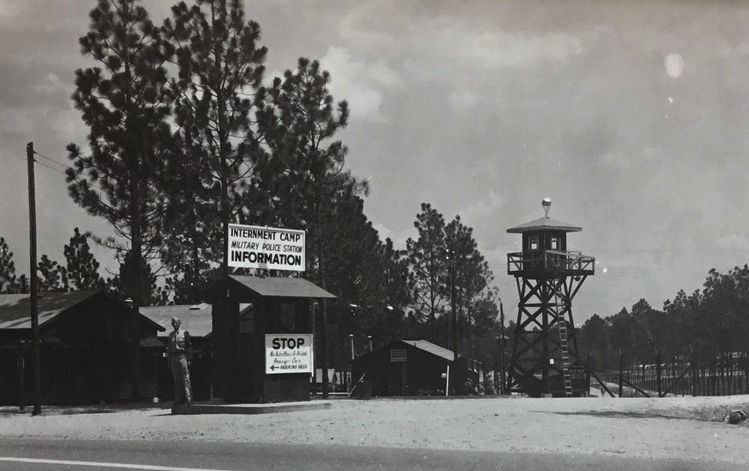 This presentation follows the research journey of two academic librarians as they begin to address the gap in information surrounding the history of internment at Camp Livingston. Building upon the chance discovery of one extended family’s experience with Alexandria and Camp Livingston alongside in-depth primary document research, life within Camp Livingston has begun to coalesce into a clearer picture that can serve as a social justice tool to illicit the exploration of racially, ethnically, or religiously spurred political decisions that deny citizenship or violate the civil rights of citizens. This event is supported by the USC Libraries. Hayley Johnson is the head of government documents and microforms at Louisiana State University. She has worked with government documents for the past seven years and works to highlight their importance and relevance to both historical and present day issues. She was previously at the Louisiana House of Representatives. Sarah Simms is the undergraduate and student success librarian at Louisiana State University. Before entering academic librarianship, she worked in the antiquarian book trade in New York City. Her interest in history, culture, and social justice advocacy has fueled her research into Japanese internment during World War II. Johnson and Simms are currently doing grant-funded research investigating Camp Livingston’s little-known history. Free. To RSVP, go to http://dornsife.usc.edu/cjrc.